Do not buy ivory or other wildlife products. Be an elephant aware consumer. Currently it’s not legal in California, New Jersey, New York, Hawaii, Oregon, Nevada, and Washington State. Ivory ban legislation is also currently being considered in Nebraska, Pennsylvania, Delaware, and Massachusetts. 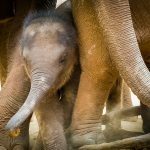 Support one of 10 elephant conservation projects in critical landscapes through The Bodhi Tree Foundation’s ‘Power of 10’ initiative. Study elephants in their “keystone” role in the environment and interrelationships with plants and other animals because all of nature is interconnected. Visit elephants in countries where they live in the wild – tourism benefits the economy, provides needed jobs, deters poachers and abuse, and gives you the opportunity to experience the beauty, intelligence, and emotional capacity of these magnificent giants. If you wish to experience elephants in their natural environment, choose eco-tourism operators who support local elephant conservation projects and who treat elephants with respect and dignity. Learn about and support organizations that are working to protect habitat for wild elephants and finding solutions for human-elephant conflict. 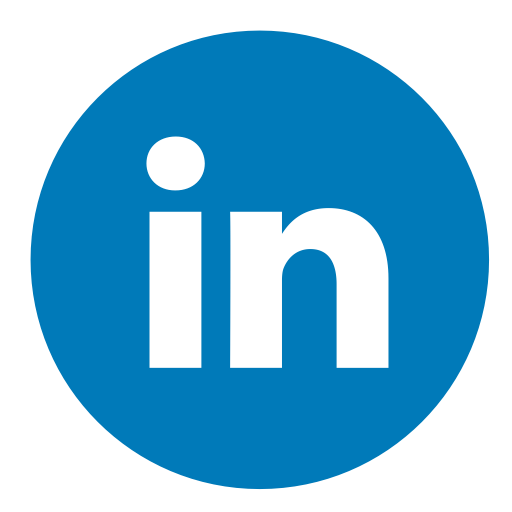 Support organizations that are working to stop the illegal poaching and trade of elephant ivory and other wildlife products. 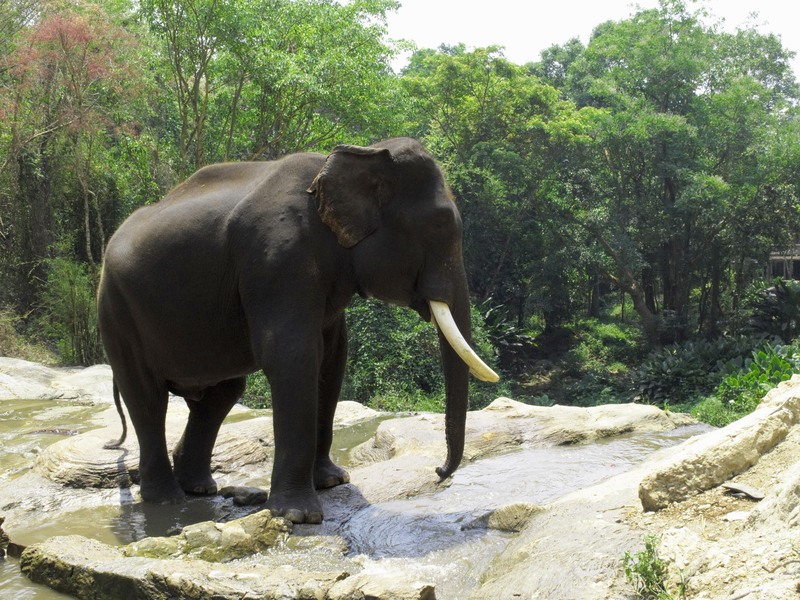 Support organizations that are protecting wild elephant habitat. 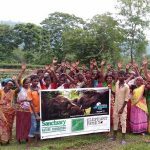 Support organizations that are building natural sanctuaries and alternative habitat for domesticated elephants to live freely. Be aware of elephant habitat. Do not buy coffee that is not fair-trade or shade-grown, nor products with palm-oil. These commercial crops are grown in plantations that have decimated elephant habitats. Only buy wood products that have been certified by the Forest Stewardship Council, which promotes responsible management of the world’s forests – the natural habitat for elephants and other wildlife. Talk about elephants at your school. 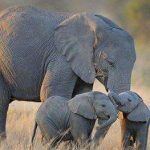 Initiate an elephant study group to share knowledge and ideas about the plight of elephants and what can be done to ensure their survival into the future. What do you love about elephants? Their intelligence, empathy and caring for one another are just a few of their qualities. Embrace these qualities and live them in your own life. Use your love of elephants and World Elephant Day, August 12, to start a conversation with the next person you meet. Tie a string around your finger right now so, like an elephant, you don’t forget!